I have a thing about shoes, I like them to be pretty. I am that girl who buys a pair of shoes not just because they are practical but because they look pretty on my shoe rack. I am a half size, so I often end up having to buy a size up and popping in an innersole. 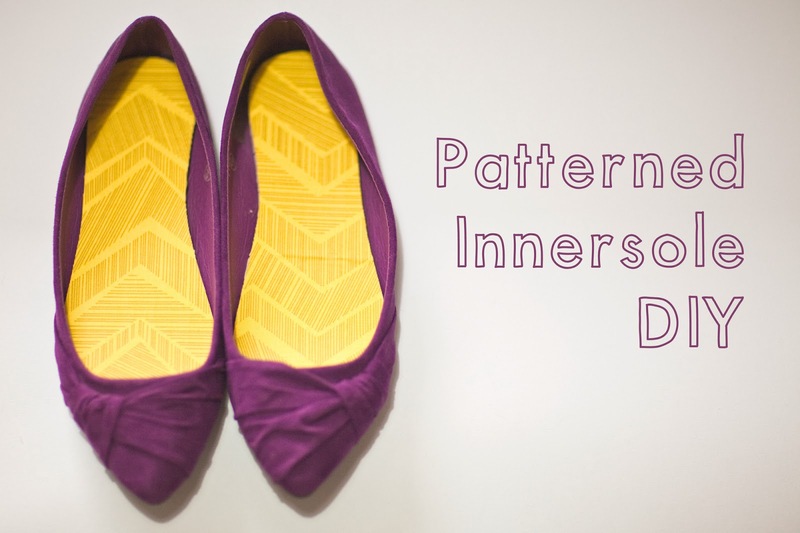 In order to keep them pretty, a few years ago I started covering those hideous beige innersoles with pretty fabrics, so today I am going to share how I do it, so you can make all your shoes extra pretty too. Just a note, if you don't need the addition of the padded innersole, you can just swap them out for medium weight interfacing to get all the pretty but without the padding. 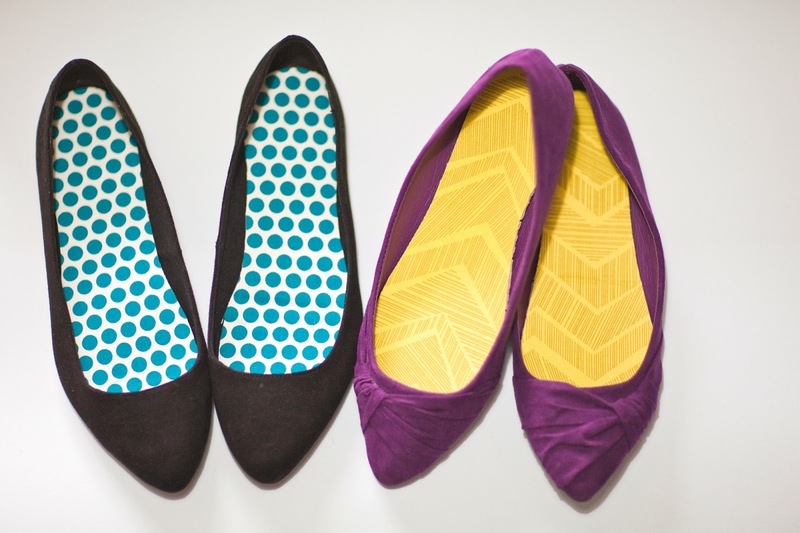 You will need: pretty fabric, a pair of cheap innersoles, scissors, Bondaweb (fusable web) and an iron. Bondaweb or fusable web is one of my 'go to' craft items. It is a web of heat activated glue with a paper backing, brilliant stuff! I started by cutting a piece of Bondaweb and my piece of fabric big enough to fit my two innersoles on. Then placing my bondaweb glue side down on to the back of my fabric iron the two together. I leave it to cool for a moment whilst I cut my innersoles to size before peeling the paper backing away. 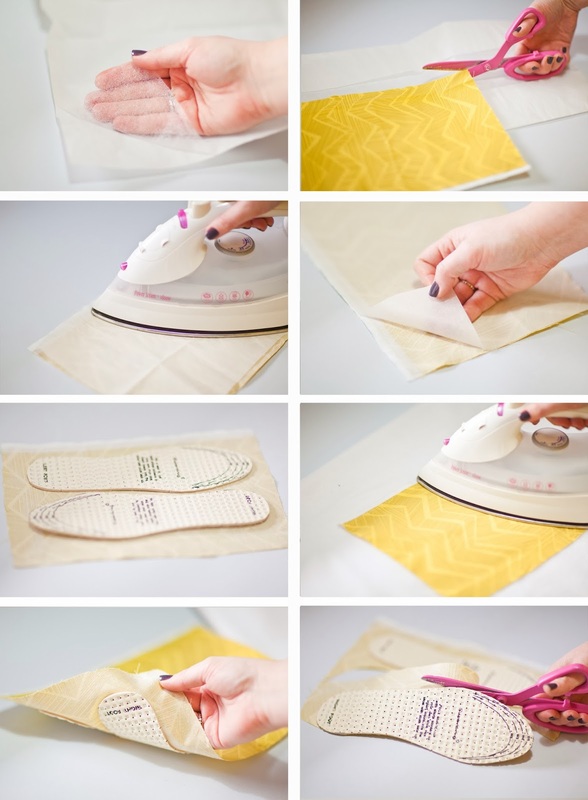 I placed both innersoles face down onto the fabric, then flip the whole lot over before ironing the fabric in place. I used a piece of freezer paper on my ironing board so the areas not covering the innersoles don't stick to the board (I learned that the hard way). Again, I leave it to cool before checking that the fabric is well adhered to the innersoles. If not, I run over it again with the iron around the edges. Then I go ahead and cut the excess fabric away. Then the new pretty innersoles are ready to go into my shoes. I know it is only me that usually gets to see the inside of my shoes, but sometimes the littlest things can put a smile on my face. Knowing that the inside of my shoes can be as pretty as the outside is one of those things, and boy does it jazz up my shoe rack! 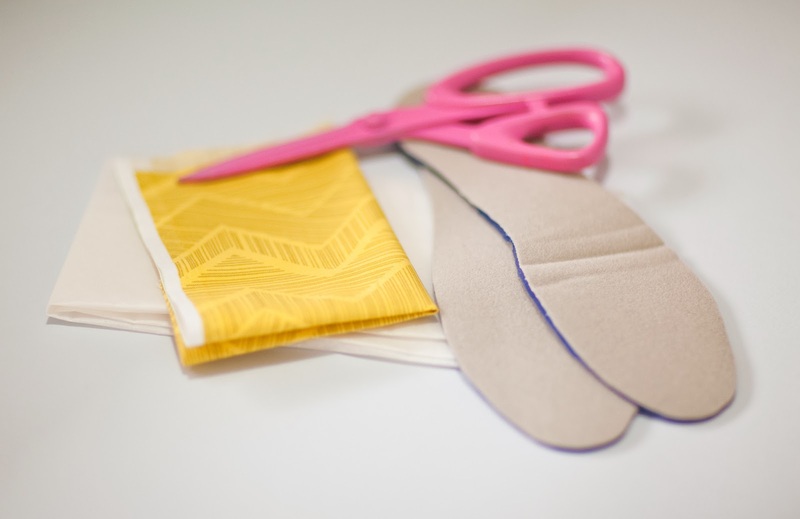 They are so easy to do and a great way to use up some fabric scraps. 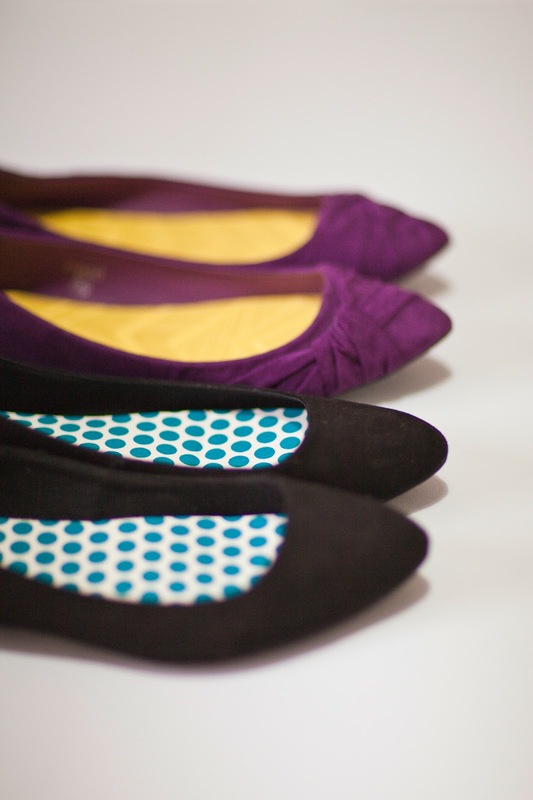 Will you be jazzing up your shoes this weekend ?? This is such a great idea! Definitely need to try this. 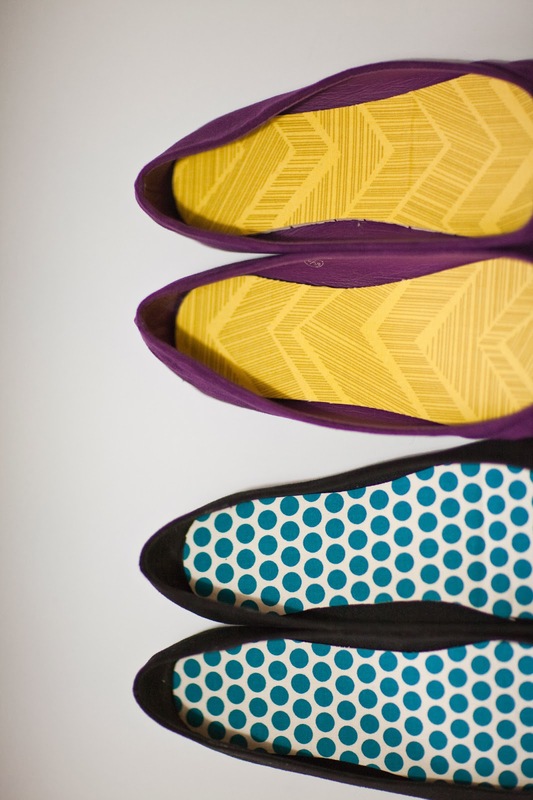 Make some dull shoes more pretty, or just brighten up your day with a secret insole - although with this weather at the moment - It's bright enough!